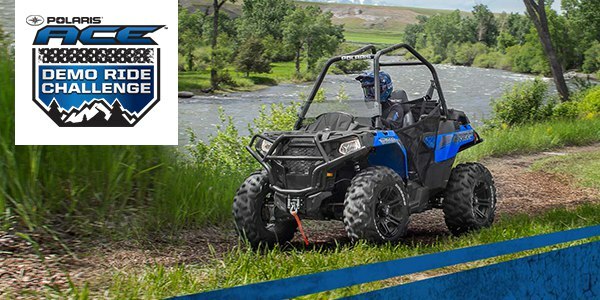 The Polaris ACE™ is a new off-road experience, and we want you to try it for yourself. We’re giving away a Polaris® ACE™ 570 every two weeks until November 30 – take an ACE™ demo ride at your local Polaris dealer for your chance to win one! After your demo ride at the dealer, enter here. UTVGuide.net customized our Polaris ACE 570, then brought it up to the Sierra Nevada Mountains to put it to the test on the world famous Rubicon Trail. Check it out then hit that Thumbs Up button! Polaris ACE is extending an invitation to your media outlet to take part in the “Editor’s Cup Viral Video Challenge.” It’s media outlet vs. media outlet, creating and promoting a video about ACE, vying for the top amount of “Likes” on YouTube. We decided to hit the Rubicon and beat the little ACE up in the rocks. Check out the video and please hit the “Thumbs Up” on YouTube to give us a vote.